Even when you’ve worked hard on getting your messages crystal clear it can still take time for your prospects to really get to understand how you can help them. You have to build trust. You have to find a way of going from not really knowing each other that well to a stage where they feel extremely happy to approach you or indeed comfortable enough to recommend you. You also have to be patient. You have to wait until the time is right for your prospect to want to take action. This can take months and sometimes years. You stay on their radar. They remember you for all the right reasons. That’s where many people fall down and that’s why Attractive eNewsletter Package is….. well…. attractive! The other reason that this package is so attractive is that it’s in a safe pair of hands. The hands of Nicola Macdonald, a professional marketer. 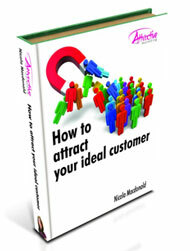 Nicola will guide you through the marketing strategy around your eNewsletter and then implement it for you. What is included in Attractive eNewsletter Package? Update social media with links to the article. The Attractive eNewsletter Package represents great value for money, because it ‘ticks so many marketing boxes’, consistently. The cost depends on whether you provide the material for the articles or would like to hand over the research and writing from scratch. Please contact to discuss. Call Nicola on 07565 382803 or email me.